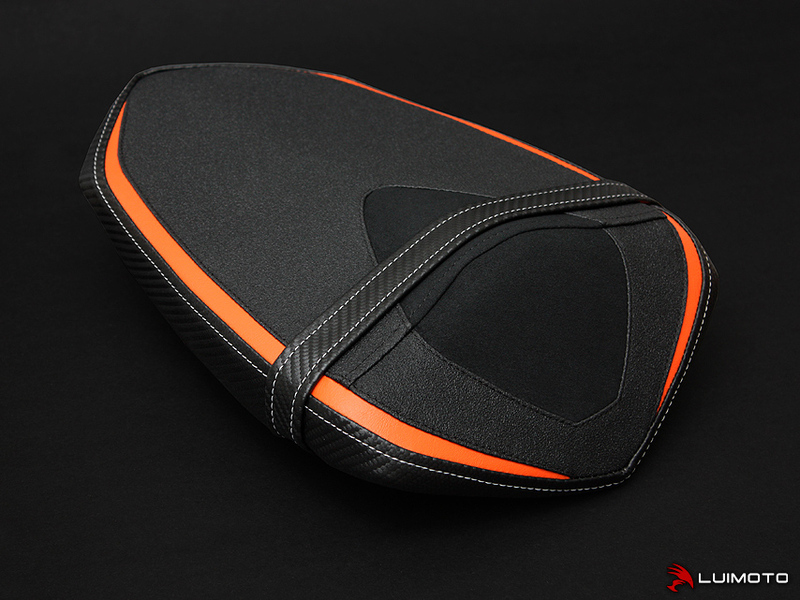 Maximize the style of your KTM 1290 Super Duke R with a Luimoto passenger seat cover! 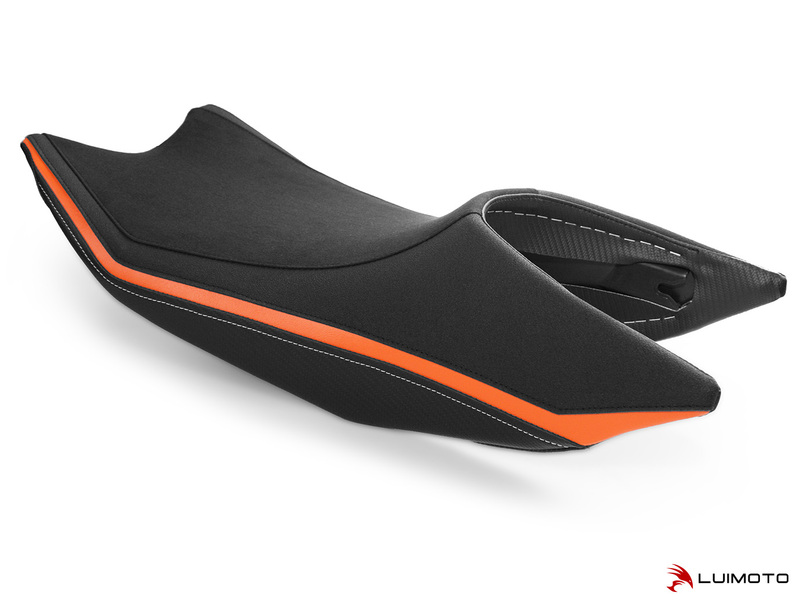 Featuring luxurious synthetic suede, Tec-grip panels for an enhanced riding experience, black carbon fiber textured vinyl with contrast stitching, and finally a dynamic front to back swoop to compliment the lines of your Super Duke. Stand out with the finishing touch of Luimoto.